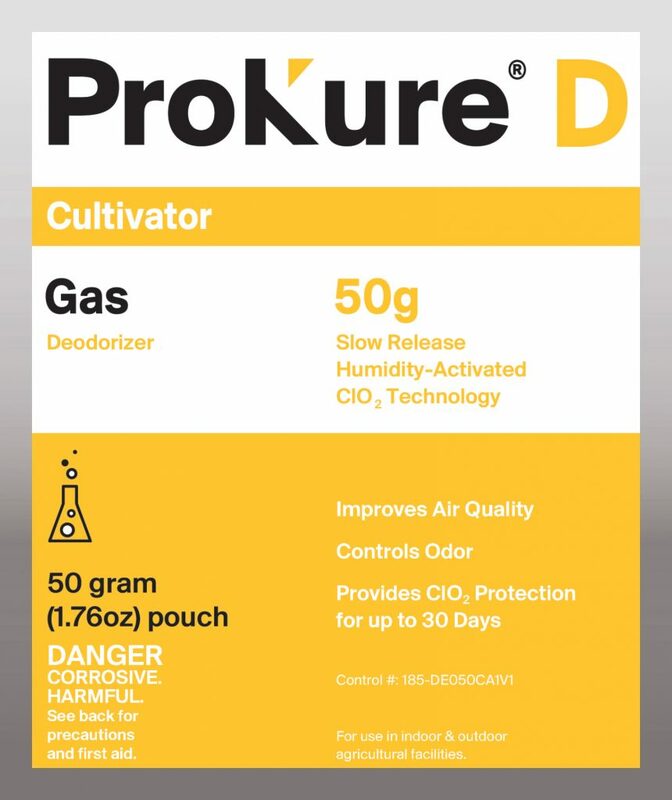 The ProKure D Extended Release Gas product line emits very low levels of ClO2 gas vapors via a humidity-activated delivery system. The trace levels of ClO2 released provide odor control and on-going ClO2 protection for up to 30 days. 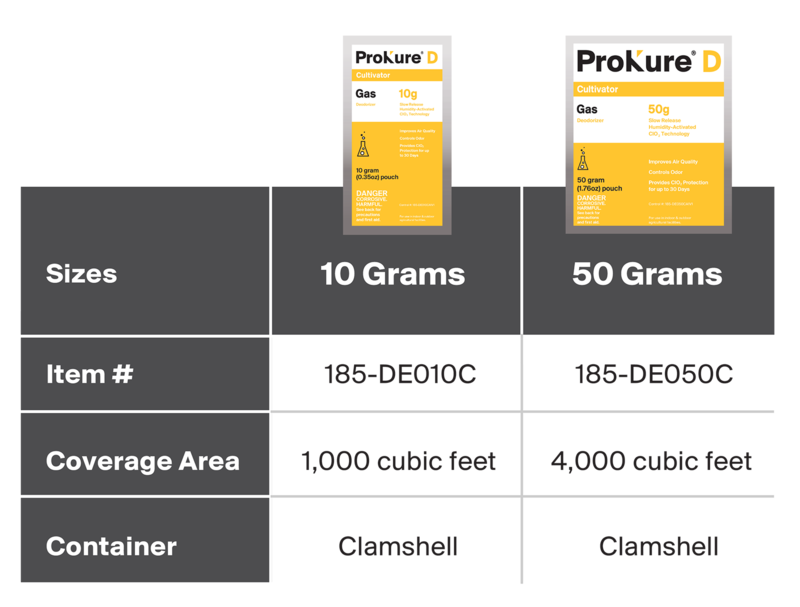 ProKure D gas vapors can creep into cracks and crevices that other liquid applications cannot. SEE PRODUCT INSERT FOR FULL INSTRUCTIONS. 1. Tear open the foil packet and remove the inner white pouch (DO NOT OPEN THE WHITE POUCH). 2. Insert the white inner pouch into the clamshell. 3. Snap the clamshell securely closed and pacled on a stable, level surface. You may also use the tape strips on the back of the clamshell to adhere to a wall. For areas larger than coverage area, space pouches equally apart. Fans, air movers, and closed circulation systems can improve performance. ClO2 gas is heavier than air; place units at a high point in the room. Use ProKure V to disinfect the space prior to treatment for best results.